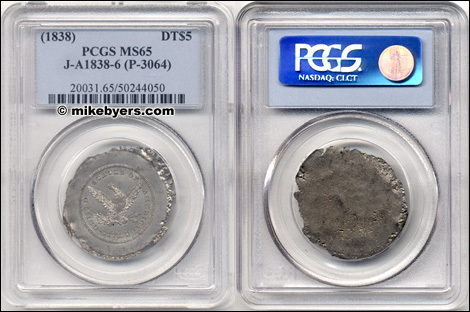 PCGS recently authenticated and certified this spectacular $5 die trial. It was stuck in white metal in 1838. It is the reverse design for the regular No Motto with Small Letters, which was struck in 1839 and 1840. Technically it is a splasher since it was struck only on one side on oversized white metal. 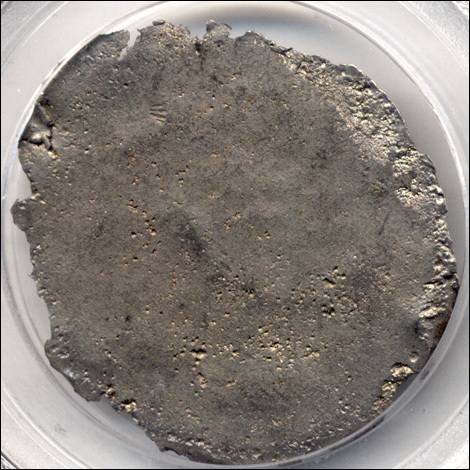 It is a dramatic die trial of an early design for the $5 gold piece and is in gem mint state condition. 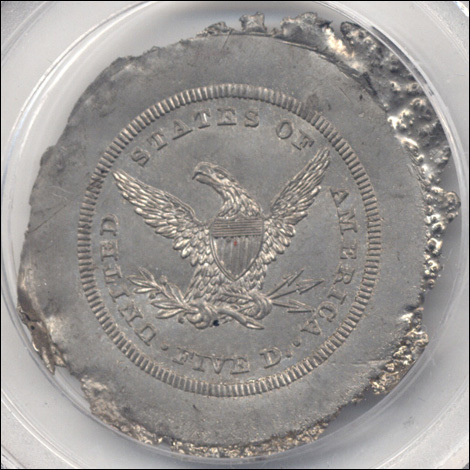 It is the plate coin in the 9th Edition of Judd. Unique.